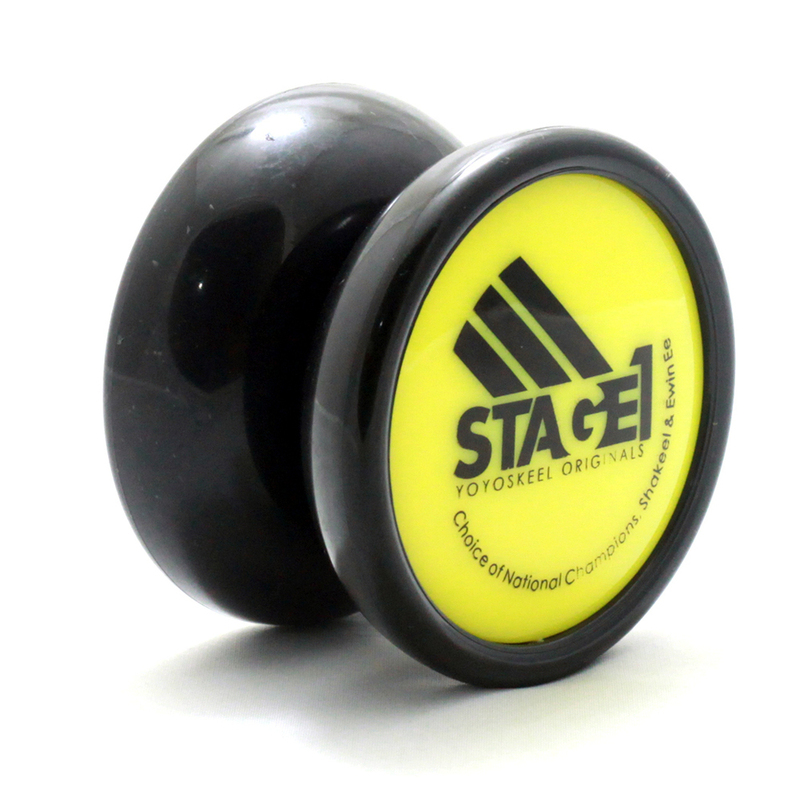 YoYoSkeel has released their first plastic yoyo, the Stage1. Used and designed by Malaysian champions Muhammad Shakeel (7x National Champion) and Ewin Ee (6x National Champion), this responsive plastic is an entry-level model retailing for about $10 USD. 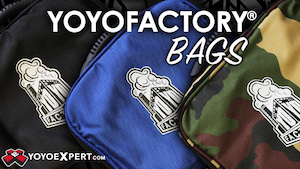 Available now in YoYoSkeel’s online store! Canada Nationals got some pretty stellar media coverage, thanks to Harrison Lee being the #1 yoyo media star in all of the Great White North. 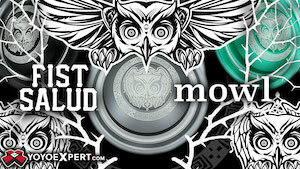 Check out this video coverage from the event! 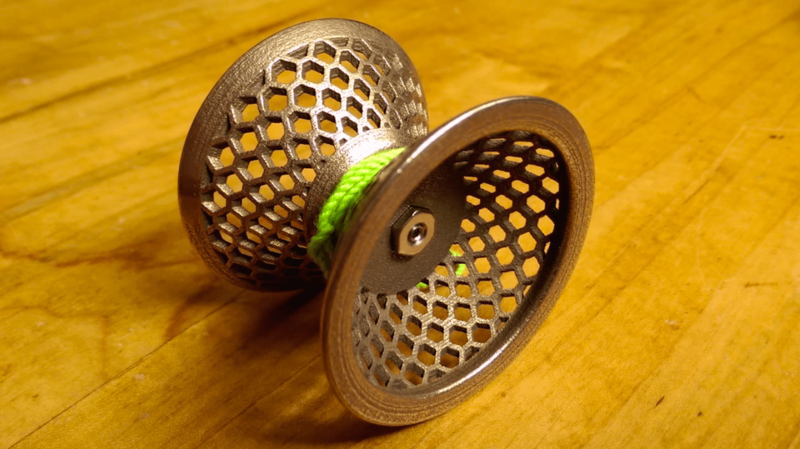 This is a prototype yo-yo which I designed and had printed through Shapeways using their basic stainless steel material. 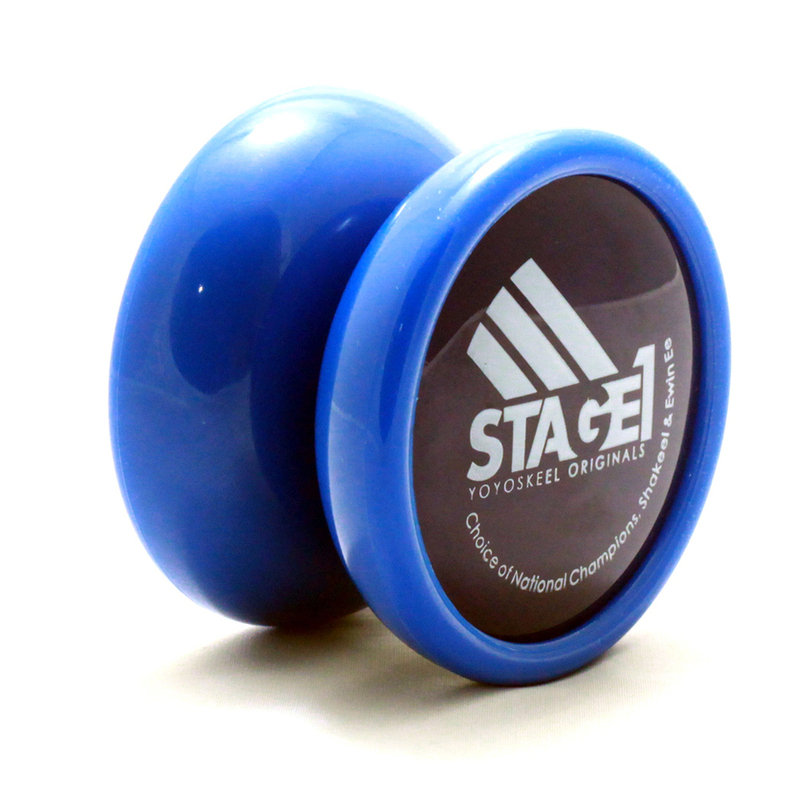 As far as I know it’s the first 3D printed metal yo-yo in the world. 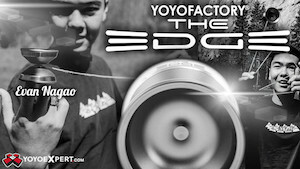 I made it mainly as a proof of concept to test the feasibility of using commercially available metal printing to produce a playable professional yo-yo. It definitely plays like a prototype but I’m actually surprised that it plays as well as it does. With axle tuning it only vibes very little. This could be attributed to a couple things. The material properties and the fact that the bearing post was slightly too big to seat the bearing so I had to file the diameter down by hand a little bit, which may have resulted in a slightly off-center seating. Vibe aside, it definitely needs some better weight distribution, as well as bevelled cut-out edges since the holes cause a good amount of drag. Both of these result in reduced spin time. I made this mainly as a proof of concept, to see if something like this was even possible or worth while. I’m optimistic considering the results, though I think I got a bit lucky with this print. This printing process (video here) consists of a step in which the glue that holds the steel powder in the shape of the object is vaporized and replaced with molten bronze. This results in shrinkage of the piece which could be inconsistent from run to run, making designing parts which fit together very risky. 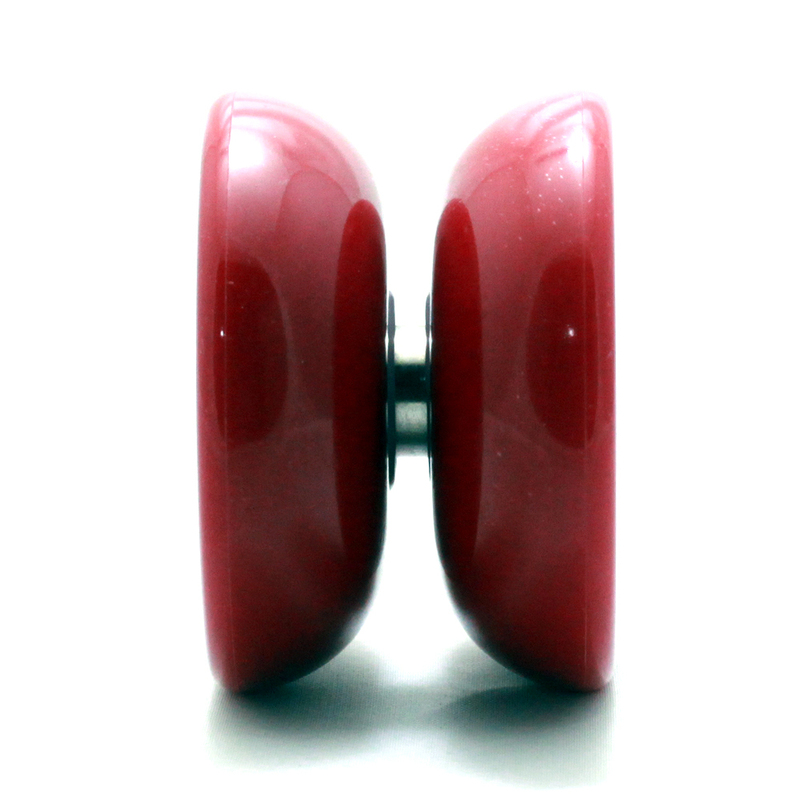 After I designed the yo-yo I scaled the print up by 3% to try to compensate for the shrinkage. It just happened that the hex nut fit it’s hole perfectly, however I’ve done other non-yo-yo prints in this material and 3% was not the magic number. Perhaps a different axle design could offer more wiggle room here. In the end, this print ended up costing roughly $73, plus the hex nuts, set screw, bearing and shipping for everything added maybe another $20. I might try for version 2 sometime soon here, though I have some other projects going on as well.